When children are stressed, overwhelmed, or confused, they exhibit what we perceive as challenging behaviors. Children must feel safe and secure in order to become CURIOUS enough to engage in appropriate learning at home and in classrooms. The funny thing is, we often teach all sorts of things…without ensuring CURIOSITY first. This means…we often end up teaching compliance without engagement, mindlessness instead of independent thinking, and distancing the children who may need the closest guidance. We must instead, set the essential foundations for social engagement and learning through fostering CURIOSITY. Research has demonstrated that children, including those with autism, who are curious about others and have joint attention make the most progress. But how do we guide curiosity? In typical development, the focus begins with getting basic needs met. From there, a curiosity about caregivers starts to percolate, often through facial gazes and smiles. Soon, that curiosity evolves into taking action towards the caregiver to see how they may respond. In some children, including those with autism, there may be significant regulation and sensory issues that make this early connection, curiosity, and learning, seemingly impossible. When a child feels safe, secure, and soothed by you, they have the capacity to be curious to you (C2U™). Guiding curiosity, particularly with a child with autism, takes significant, purposeful, and artful effort by the caregiver or guide. 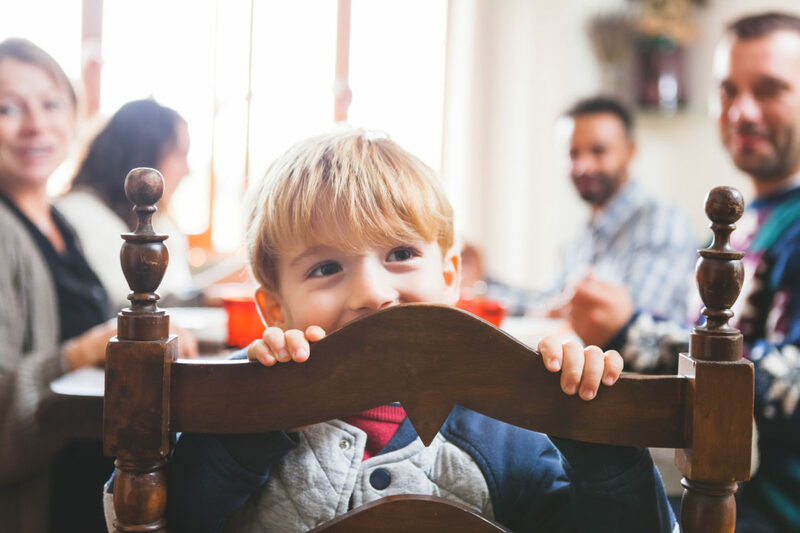 The purpose of this blog is to “unpack” how to help a child (or person of any age) to connect with you, to be curious, and to engage in what we call mini-moments, so that the bigger moments of sustained joint attention and social reciprocity can happen. Children must trust their guide to provide manageable learning environments. Environments prime for curiosity are those which are quiet and relaxed, with as little additional or distracting stimuli as possible. If a child is struggling with an environment that is overstimulating, confusing, or causing feelings of chaos, taking a child to a quiet part of the room or outside, or simply away from the offending environment, can do wonders for allowing space for curiosity to emerge. Young children’s regulation, particularly those with autism, can vary moment to moment due to neurological, sensory, or other reasons, often which are beyond their control. This requires us to be calm, collected, and settled in our own bodies. This may mean sitting beside the person or child with autism and listening to your own heartbeat, or your own breath without demanding anything of the child. Allow yourself to breathe deeply. Not only will this help you, it will help the child by modeling breathing and not making immediate demands on him/her. This allows the child’s attention to shift, their body to calm, and availability more possible. Young children, particularly those with autism, are often used to people telling them what to do and/or trying to get them to respond in a particular way. The performance anxiety in both scenarios can be high, which can actually decrease interest and motivation to engage with others. Here is your chance to offer “bids” for engagement that are non-threatening, not performance-based…they are simply…bids to become curious about you and to connect. Say echoed statements back but in an ever so slightly different way… slowed down or with a lower or higher pitched voice than you typically might….this can create curiosity. The moment that the child gazes, leans, shifts, or reaches out to you…tells you they are curious. In fact, it tells you they are curious about you. *THIS* is what we call C2U™. For us, C2U™ is NOT eye contact. C2U™ is the true curiosity not the act of making eye contact. People can and do make eye contact all of the time that is mindless. We are guiding mindful curiosity (or intentional focal attention) to you (C2U™). To learn more about C2U™ and what it means to support children with autism, in particular, [click here for a video tutorial on the subject]. And if you are especially interested in strengthening your competency in guiding individuals with autism, consider getting Synergy Autism Mentorship Certified! CLICK HERE for more information.